Jesper Edman is an Assistant Professor at Hitotsubashi ICS. Prior to joining ICS, Professor Edman was a researcher at the European Institute of Japanese Studies (EIJS) at the Stockholm School of Economics and served as the Director of the EIJS' Tokyo Office. He continues to hold this position and is also a board member of the Tokyo Chapter of the Swedish Centre for Business and Policy Studies. In addition, he has worked as an equity analyst at Deutsche Securities' Tokyo Office. 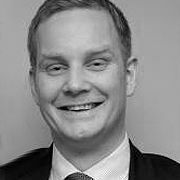 Jesper received his PhD in International Business from the Stockholm School of Economics in 2009; he also holds an MSc in International Economics from the same school. He has been a visiting student at Hong Kong University of Science Technology and at Hitotsubashi’s Economics Faculty. He grew up in Tokyo where he attended the American School in Japan from kindergarten through the 12th grade.